PITTSBURGH—Local mom Ashley Sanders posted a video of her five year old son Aiden to her Facebook page yesterday, unaware that it will resurface in 2065 and sink his nomination to serve on our nation’s highest court. 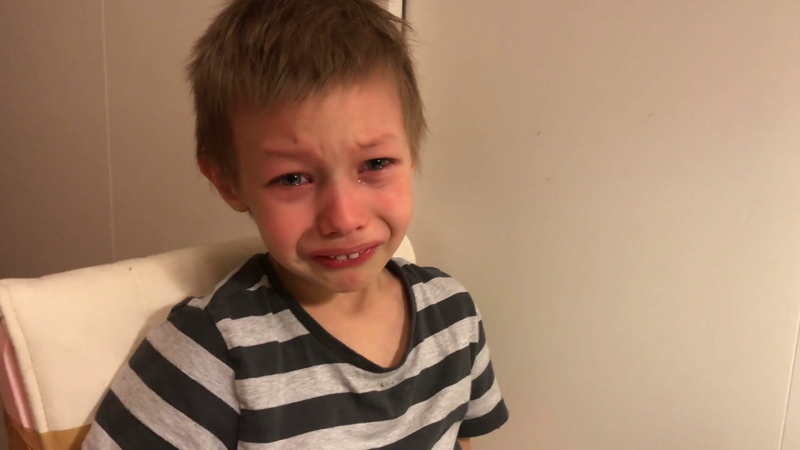 “Aiden is soooooooo cute lol,” wrote Ashley when she posted the video, which depicts her son, his face red with tears, frantically begging his mother to put a booger back into his nose, then shrieking with furious indignation when she patiently informs him that she cannot. Ashley’s patience will not be shared by the Senate Judiciary Committee, which in forty seven years will consider the video to be a troubling indication that Aiden lacks the proper temperament to be a Supreme Court Justice. The video, dubbed “Boogergate” by the press, will mar the otherwise spotless record of would-be Justice Aiden, which will include decades of dedicated public service and lead to a nearly unanimous appointment to the U.S. Court of Appeals for the Third Circuit. Widely viewed as a shoo-in candidate for the Supreme Court, Aiden will receive the highest possible rating from the American Bar Association, only to have that rating reevaluated and rescinded in the wake of Boogergate. “This problematic outburst of rage does not comport with the dispassionate impartiality expected of a Supreme Court Justice,” the ABA will say. After the embattled president withdraws the nomination under pressure from both parties, Aiden will retreat in disgrace, knowing that his once-sterling reputation, like that booger, can never be put back again. It will be no consolation to him that the candidate nominated in his stead will also be withdrawn, this time following the revelation of a forty year old comment on a friend’s Instagram selfie which used language that, according to the third most upvoted definition on Urban Dictionary, has racial undertones. At press time, Ashley’s Facebook post had garnered over fifty likes.